Merry Christmas Angie! I hope you enjoy your holiday weekend with the fam! Merry Christmas to you, too, Angie! You said, "I wondered why I was getting visits from your page". Just felt like being ornery. Nice looking blog. It takes like a minute to load, though. Merry Christmas to you too Angie!! 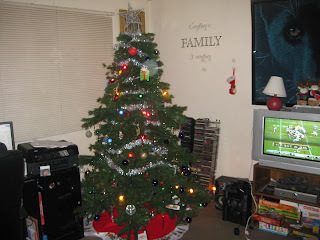 Love the tree... ours was SOOO plain Jane this year haha :) Have a great holiday weekend!! !